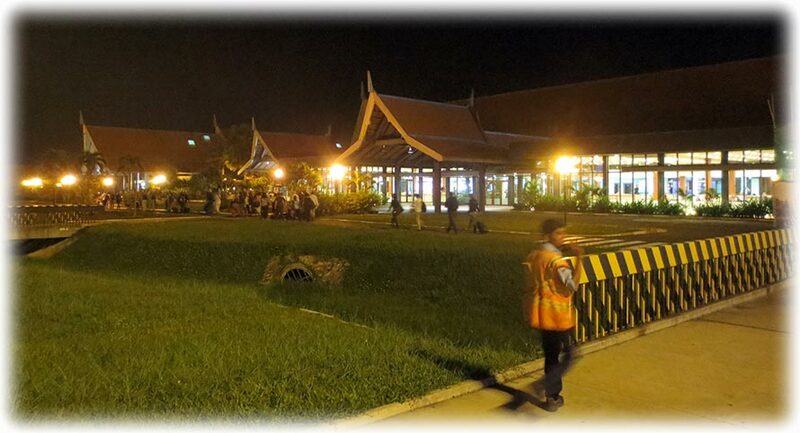 Friday 19th of October 2012 and we just passed Sukhumvit Soi 23 on our way to Suvarnabhumi and Bangkok Airways flight PG 909 to Siem Reap when I realised that I had forgotten my pass port. So we had to turn around. Lucky that we had not reached Sukhumvit or the toll way. They looked a wee bit puzzled when I returned to the condo with the taxi. I told them that I had forgotten my passport and they started to laugh. I got my passport and we started all over again. On the toll way I discovered that I had forgot my hotel booking and the e-ticket. E-ticket, no problem, just to check in. But the hotel reservation. What was the name of the hotel? I booked hotel and plane ticket in 5 minutes because I was in a hurry. 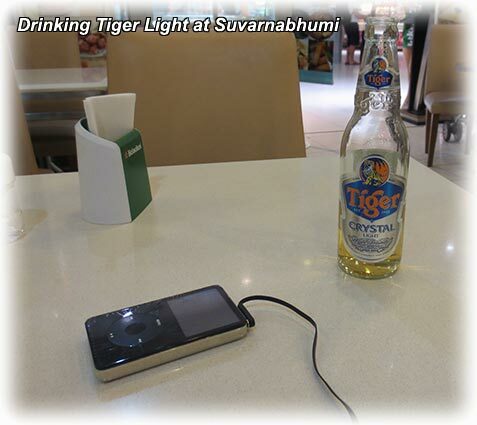 Check in and immigration was a quick thing and I was soon in a restaurant drinking Tiger Light. Of course, I had been asking for San Miguel Light, bus as they didn't had any San Miguel Light I had to drink the second best. Well, we will see about that now when Heineken have taken over Tiger. Heineken doesn’t exactly have a history of making good beer. 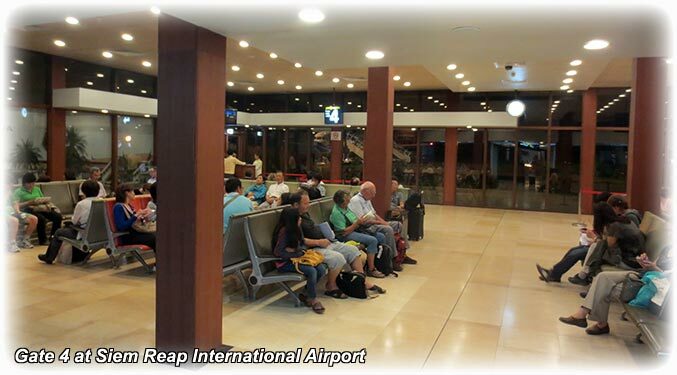 I had 5 bottles before I left for the gate D1 and Bangkok Airways flight PG 909 to Siem Reap. I don't know if they serve beer on the flight, I hope so. I paid 15500 Baht for the darn ticket so I really hope I can get a beer out of the deal. I could go by the bus, 250 Baht. But then I would have arrived like a corpse. But 15, 500 is very expensive, cheaper to fly to Singapore. But the flights to Singapore and Tokyo were full so here I am. 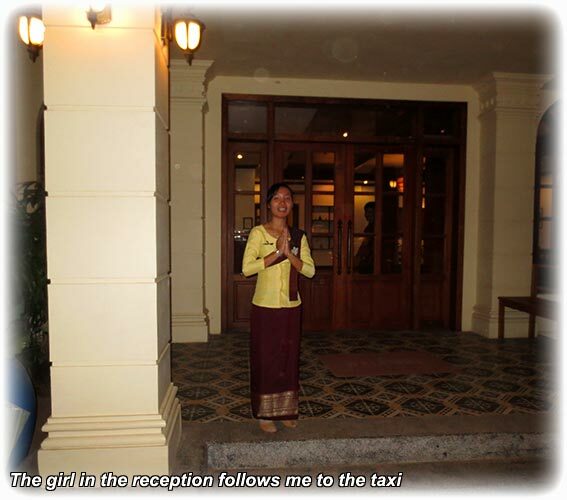 And I have only been a few hours in Siem Reap when we visited Angkor Wat a year or two ago. 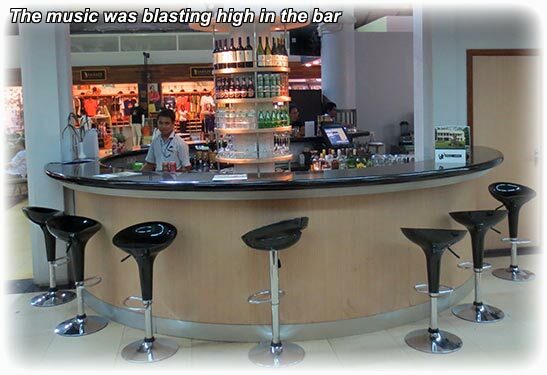 And the place looked very nice with all the bars so I wanted to visit the place. 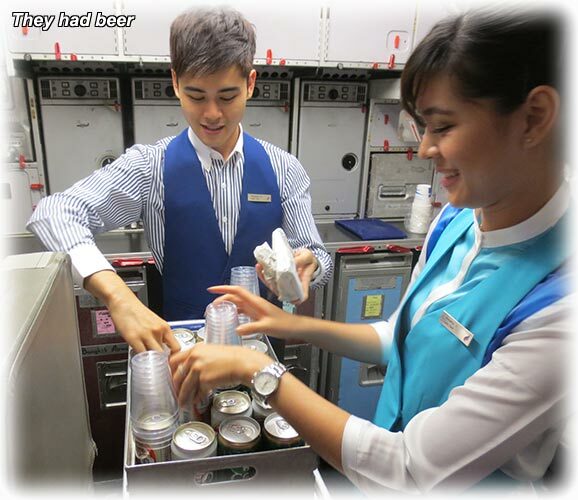 Well, they had beer on the flight Chang and Leo. I had time for one beer on the flight. It was up and the can was about to slide back in to the seat next to me. ( I had a row of 3 seat for myself) and then it was down and the can slide forward. Well, time for one beer, not bad. Of course, it might have been due to the fact that it was a Leo beer, not a good tasting beer. 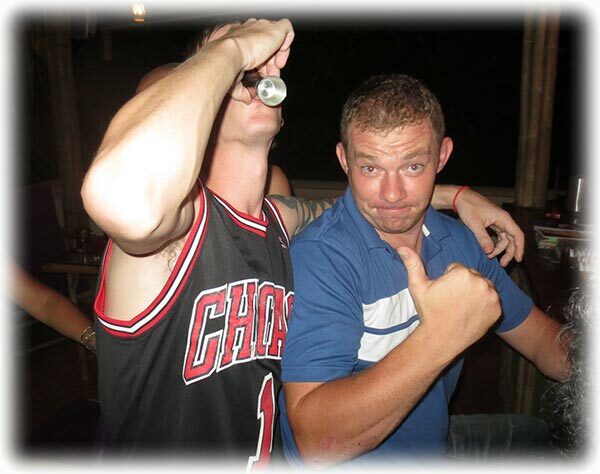 I might have been able to have had 5 bottles of San Miguel Light in the same time. Never mind, something was wrong with this day. Forgotten pass port and my hotel booking. OK, luckily enough I had copied my e-mail file from my computer so I could copy the e-mails to my outlook in my laptop at Suvarnabhumi while drinking beer. So I could get the hotel name and I had the name on a paper napkin. The Stewardess told me that I could move to row 21 before take-off and I prepared my move. Then she told me that I could wait until after take-off. We were up in the air when I discovered the last row, empty and I made my move. I could not find my snus and iPod in the pocket in the seat in front of me. I was in the back row checking the pocket in the seat in front of me. I discovered that there might be a chance for my snus and iPod to have slid out of the pocket. So I returned to my original seat. The guy next to me asked what I was looking for. Yes, the world is small, when I took my seat 18D I ended up with a retired couple and the man turned out to be from Skåne. Well, anyway I told the guy that I was looking for my snus. I had been there several times looking for my snus and the guy was puzzled. And yet again, he was from Sweden but now he wasn't speaking Skånska anymore. I looked up and I was in seat 19D and I found my snus and iPod at seat 18D. I turned cartwheels back to my empty row and my Leo beer. 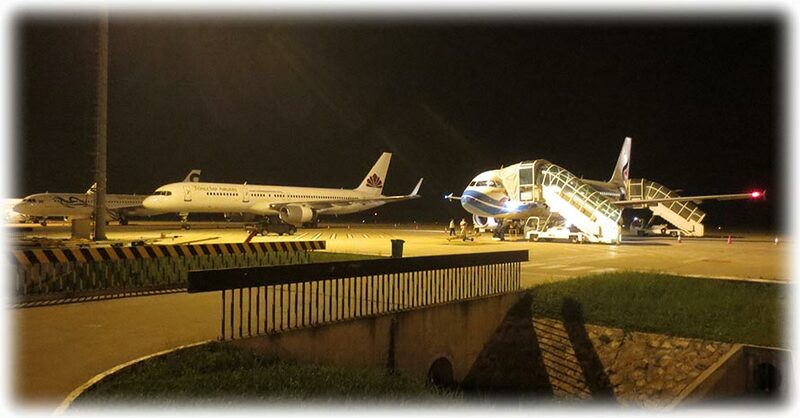 I was the last one of the plane and I was escorted by a beautiful girl and a guy to the arrival house. I guess they don't want passengers running around by them self planting bombs on the aircrafts. I got my visa, yes, we had to go through a stupid visa application process at the air port and they charged me 800 Baht. - Do you have photo? - No problem, you just pay extra. Strange, no need for pictures if you pay extra. I got an airport taxi to my hotel and I was in a jolly good mood. Until the driver told me that there wasn't any music in the town. 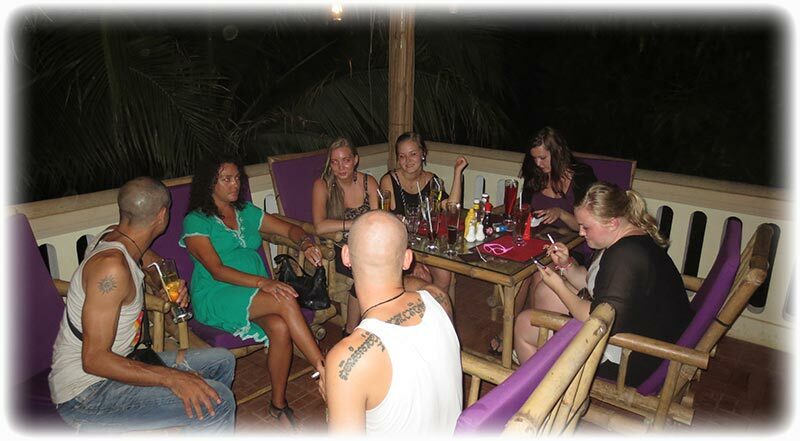 - So what does this to do with the tourists coming here? - What is this? Take me back to the airport! OK, I know what you're thinking. 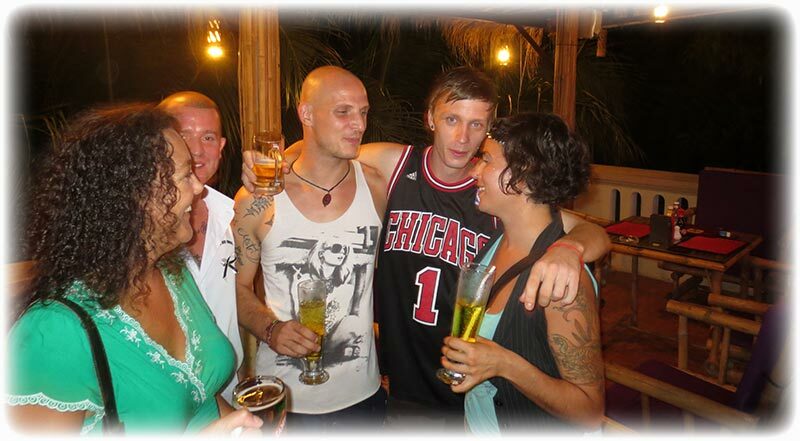 Here is yet another tourist with no respect for the country and traditions of the country. 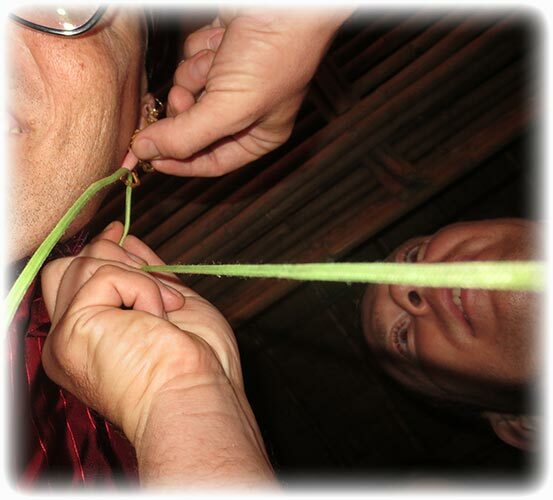 And yes, you wish that I was a conscious and “know it all” respectful TRAVELLER. Yes, they are so respected all over the world. Well, wait until you have seen one of them walking through MBK Center in plastic flip flops with a roll of toilet paper in one hand and a bottle of water in the other hand. And of course, I would have respected the people mourning if it came from their own free will. But now it is forced up on them with a hefty police fine if you didn't mourned. I was later on to discover that some places played music, but they have had to pay off the Police and then it was no problem. 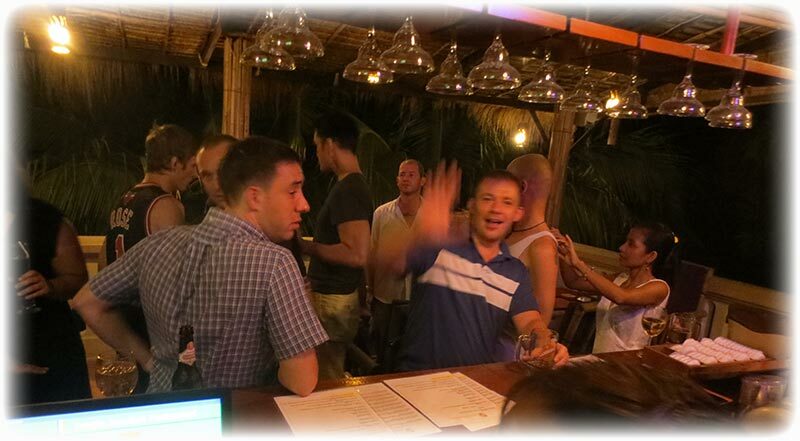 Well, I decided to give Siem Reap a try and if it was no good I could fly back home tomorrow. 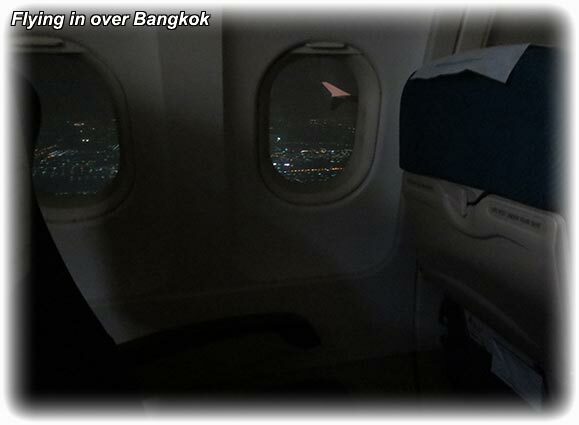 Anyway, the returning flight to Bangkok had already left. 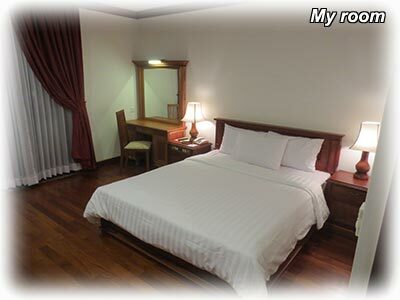 And as I had paid for my room I could as well sleep in my hotel instead of at the airport. 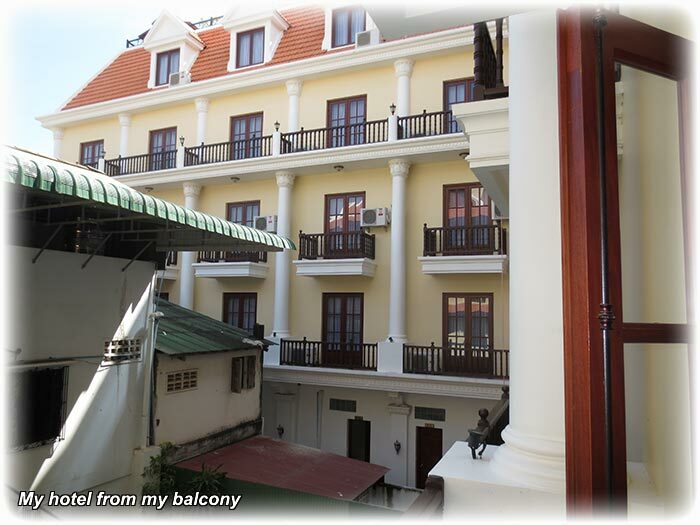 It was a very nice hotel, for 1400 Baht per night. But I guess this is because of the low season. 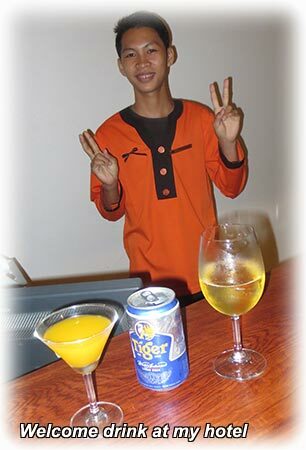 I got a welcome drink when I checked in, but I left it untouched and I had a Tiger beer instead, 2 and a half US$ so it was not that bad price. Would have set me back by 10 Dollars in Singapore, or at least 8. 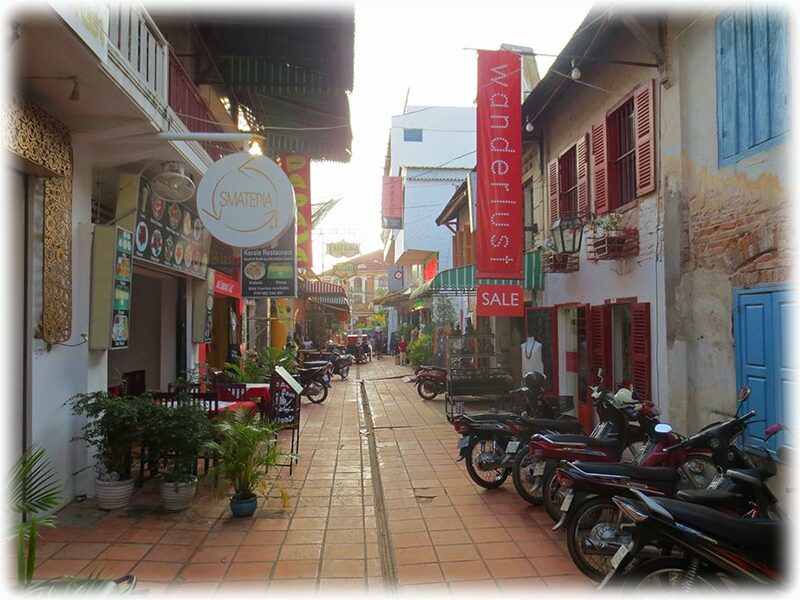 Saving money by the minute I'm in Siem Reap. I finished my beer and I left my hotel. 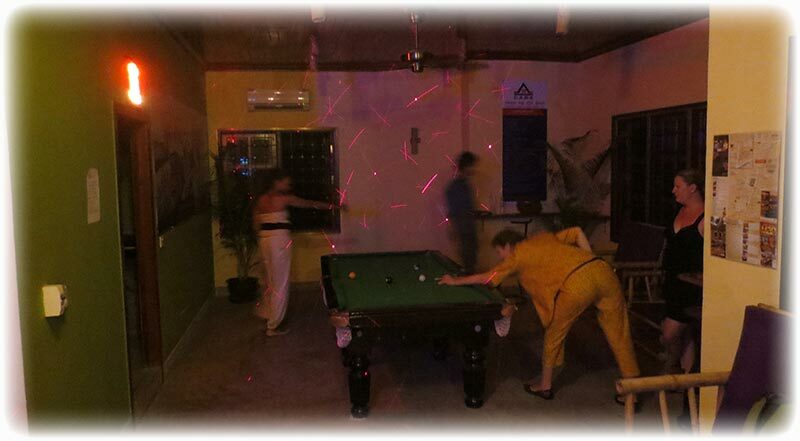 There was a billiard hall next to the hotel, but no music. I walked up the road for 20 meter and I could hear music at a very low volume. So I went inside. I took a seat in the bar and I asked for a beer and the menu. I handed them my TAXI CD and we were soon listening to Öris. But the volume was very low so it was pretty pointless. I ate spaghetti and when I was ready I walked across the bridge and I was at the market place and the pub street. I could hear music from one of all the places and I was told that they had paid off the police. Otherwise it was quiet on Pub Street. I walked up in the second floor to a place called Mezzin or something like that. There were plenty people but no music. 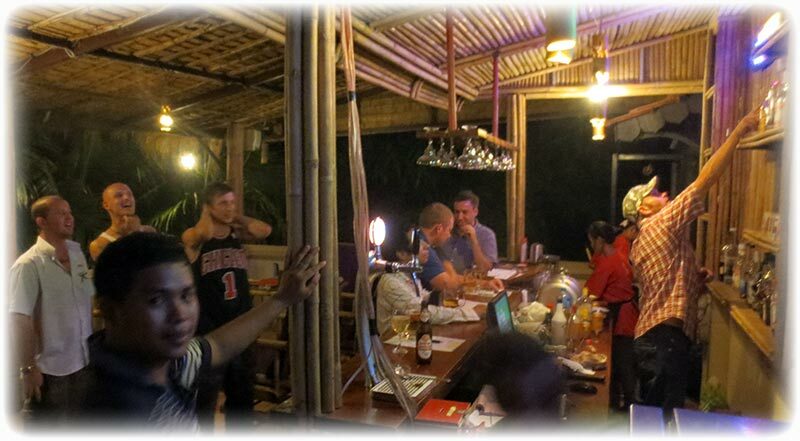 Well, I asked for a beer and they only had Angkor beers, not a good tasting beer. But it was kind of OK with ice. And of course, the main reason must have been that I already have had 20 beers. 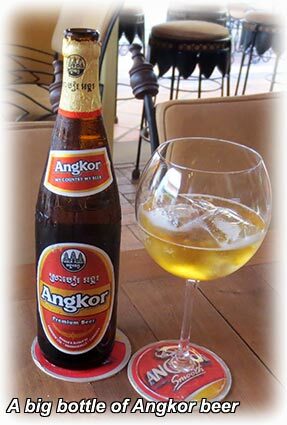 An Angkor beer is nothing you start with, or it will last almost for as long as a Leo beer does. So no, it is not a good beer, but after 12 San Miguel Light it is kind of OK.
Like I mentioned, I had time for 1 Leo on the flight coming here. And I doubt that I would have had time for more than one even if I was on a 12 hours flight. Well, anyway, I was half way through my first beer when I guy came up to me. He ordered a beer and we started to chat. And it didn't take us long to agree on that it was a shame with the music. 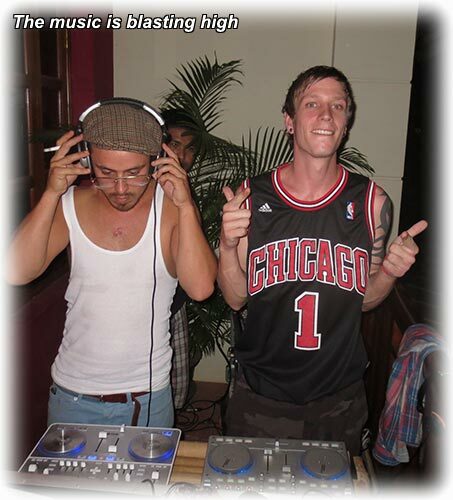 Turned out that he was the DJ at the place and the Police had been there 15 minutes earlier to turn off their music. 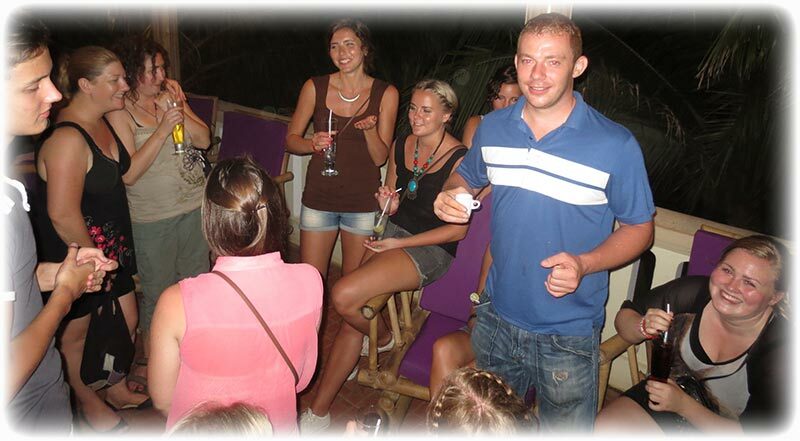 There was plenty people from a hotel to say good bye to the manager that will return home to Switzerland. And he had made a movie about his 6 months working at the hotel. They showed the movie on a big screen and there was music in the movie and when the movie came to an end I screamed. - BRAVOMISSIMO!! ONE MORE TIME!!! 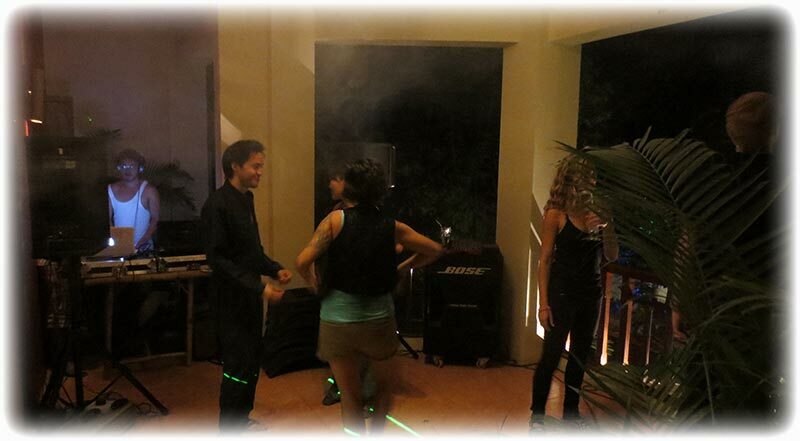 The DJ rented a house together with another guy and they were obviously arranging parties and stuff. And as they were feed up with the music ban they had arranged a party tomorrow night. A place called Jungle junction on High School Road and the whole thing would kick off tomorrow night at 8 o'clock. 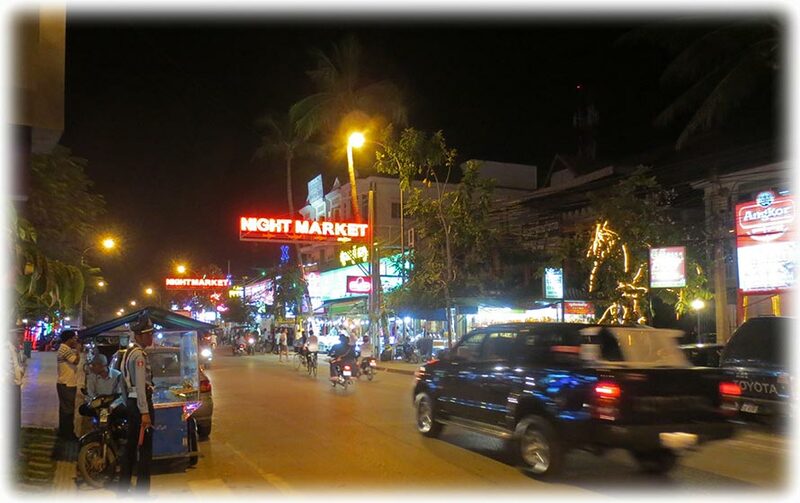 When I heard this I decided to stay in Siem Reap until Sunday. Otherwise I would have returned home to FUNKY TOWN tomorrow night. 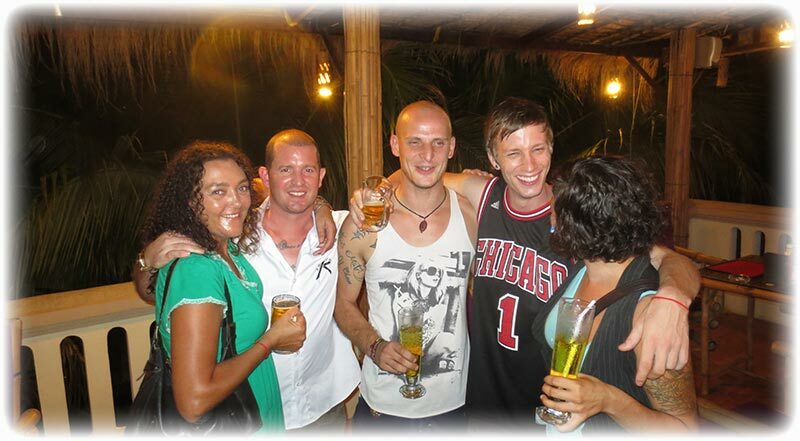 We drank beers like there was no tomorrow and we haf finished all their bottle and tap beer in a few hours. My new friend knew another place. But he told me that it was usually not getting busy until 3 in the morning. Anyway, no use to hang around here if they are out of beer. 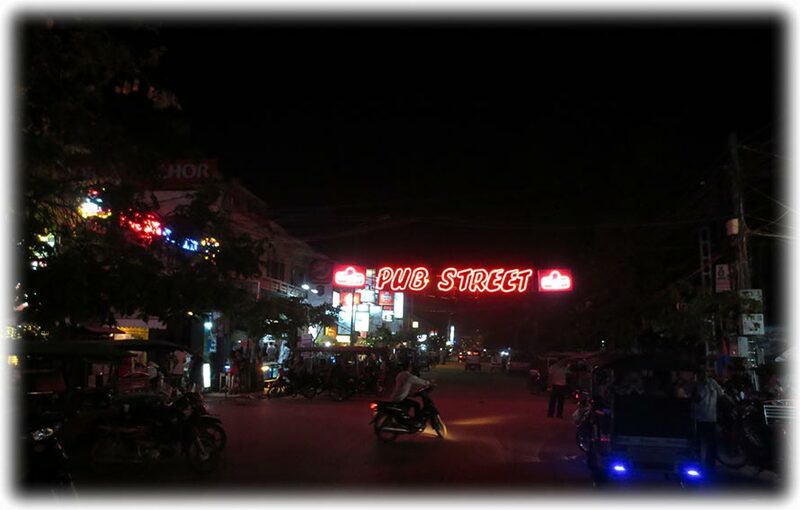 So we checked some place at the pub street but nothing interesting and we got on the DJ's motorcycle and we took off to TUK TUK bar. 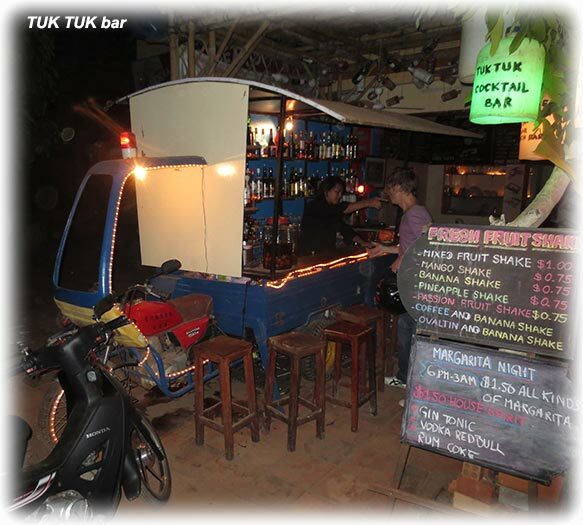 TUK TUK bar is runned by a Thai and it was a nice place and I can imagine it as a fun place when there is music on. 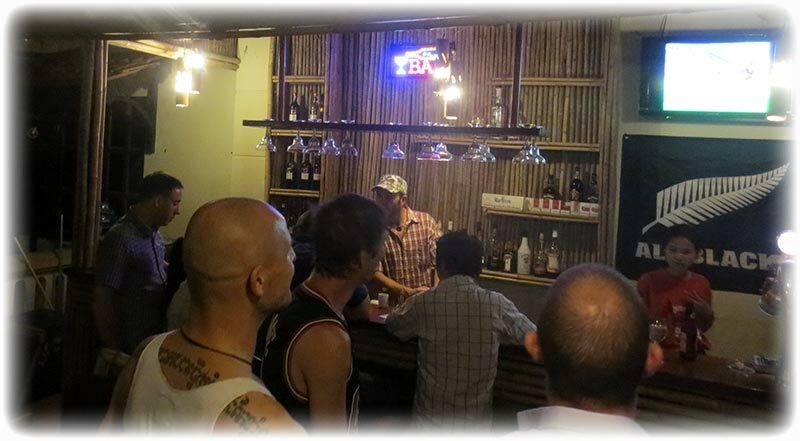 Well, a Thai running a bar in Siem Reap. But many people here speak Thai. When I come in to a place I always say “How are you?” in Thai and there is always at least one answering in Thai. 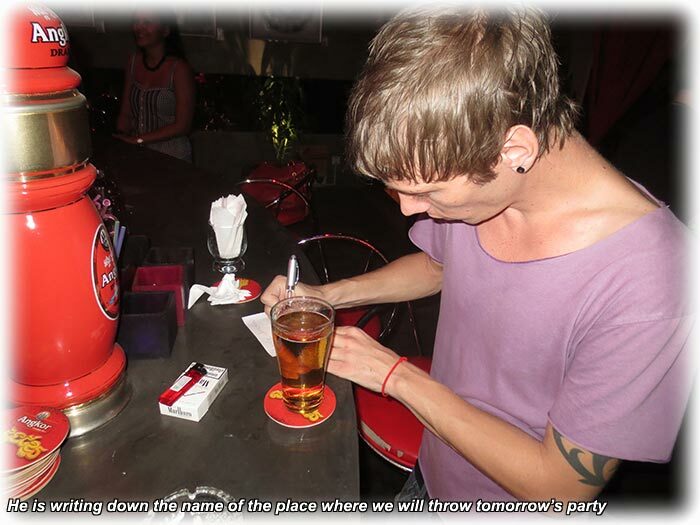 But most people speaks English here, but the Thai have come in to use more than one time. The time I remember the most was one girl. She spoke English with me and the rest of the staff. 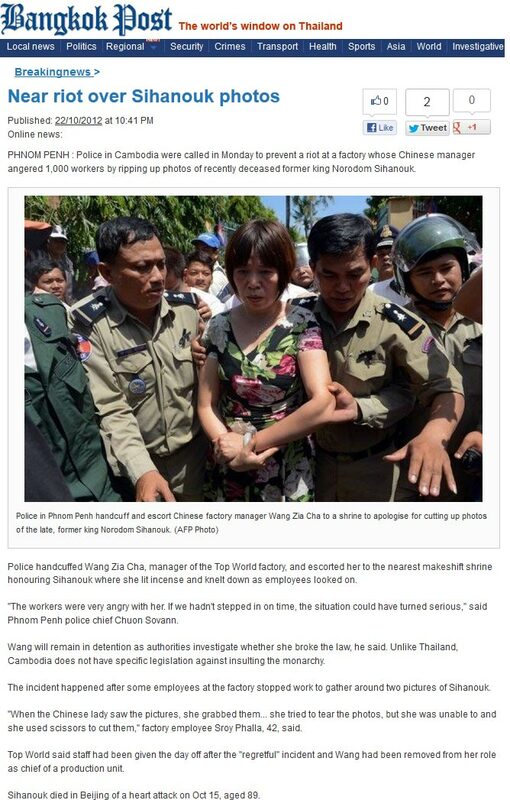 But when she didn't want the other staff to understand she swapped to Thai. 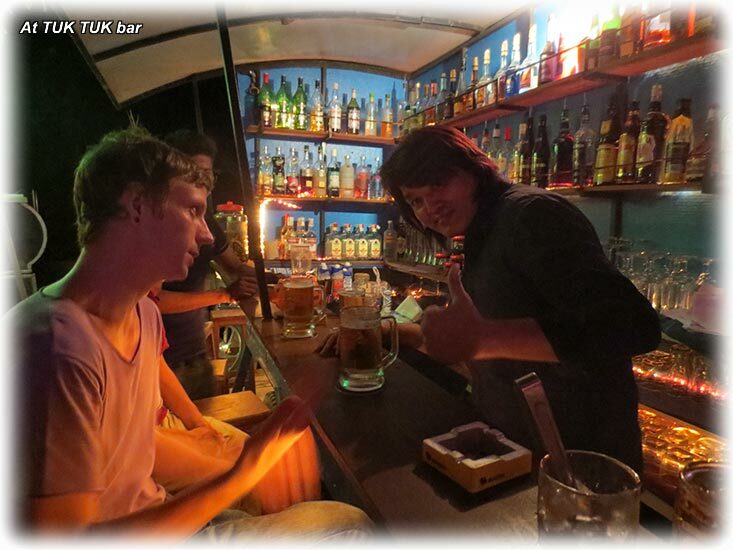 We were alone at the TUK TUK bar, but people started to arrive and there was a guy with a guitar arriving so we were soon having music. Not the kind of music I had expected, but never the less music. Saturday 20th of October 2012 and it was 3 or 4 o'clock before I made it out of my room. I walked down to the pub street to see if I could find a restaurant and/ or a place with music. 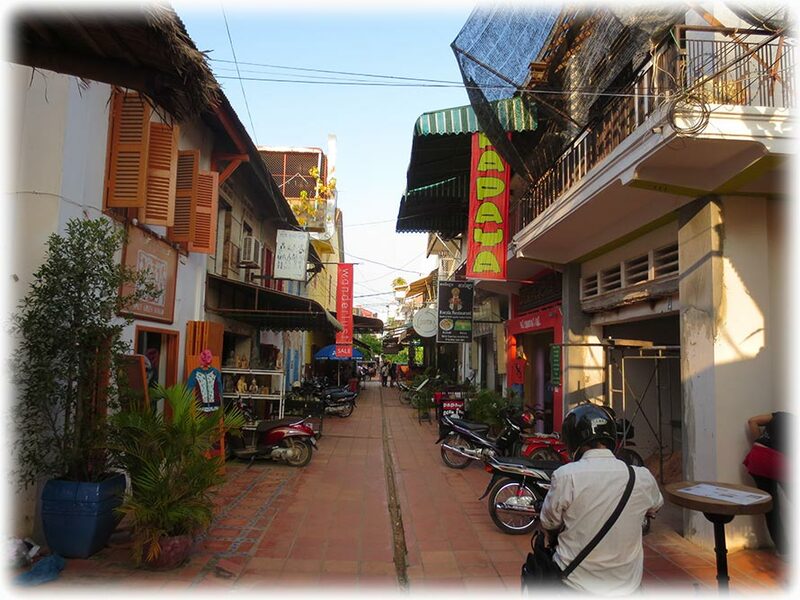 I walked around Siem Reap and it is a beautiful town. Thanks for your e-mail. How did you find my page? What tourist says? Well, no one mentioned the mines. 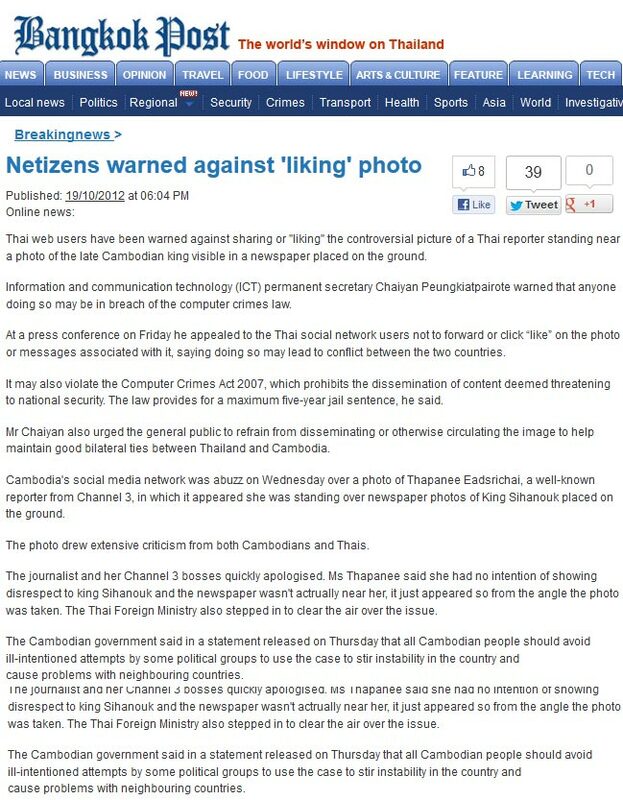 But everyone I spoke to liked Cambodia. I also liked it, for a few days. But I like Bangkok better. well illustration of Cambodia. the danger mine! 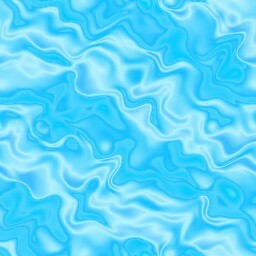 at header should be replace? 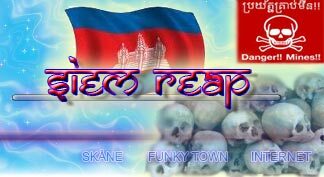 thanks http://cambodiaairdefense.wordpress.com/2011/04/01/prime-minister-hun-sens-property-declaration-to-anti-corruption-authority-cambodia/ how tourist think about that mine danger? 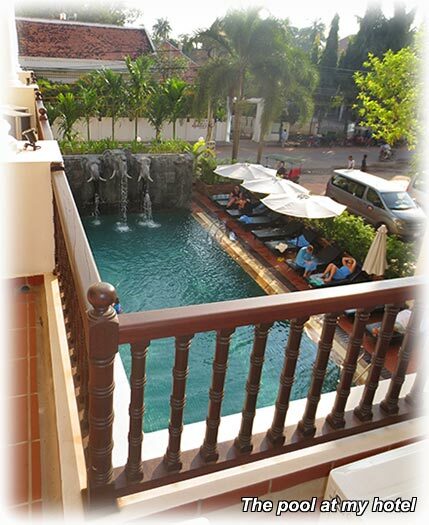 can send my passport to the Thai Embassy in Phnom Penh while I'm here in Siem Reap relaxing. Because it is a very relaxing place and the weather is very nice. Like a Swedish summer and I can walk around without getting soaked in sweat. Well, what if.... No it can't be.... IMPOSSIBLE! 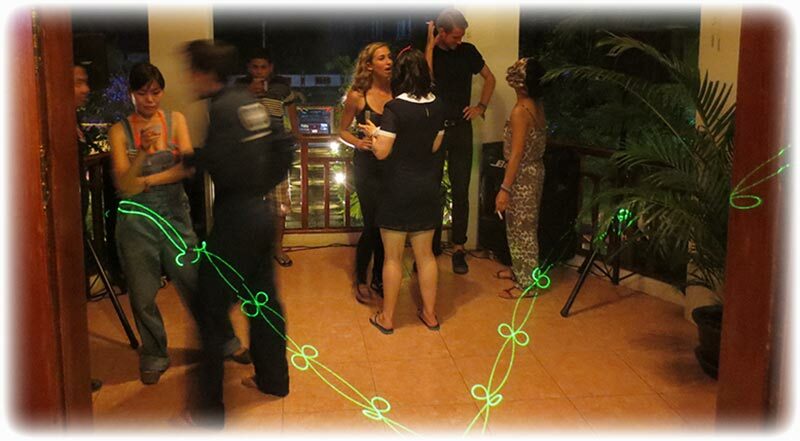 But what if I make more to promote Cambodia than the guy (At Cambodian Secret Police?) scanning internet. Yeah, we remember him sending e-mail to me about the mine danger. Still looking for new job but I don't want to work fulltime as before. 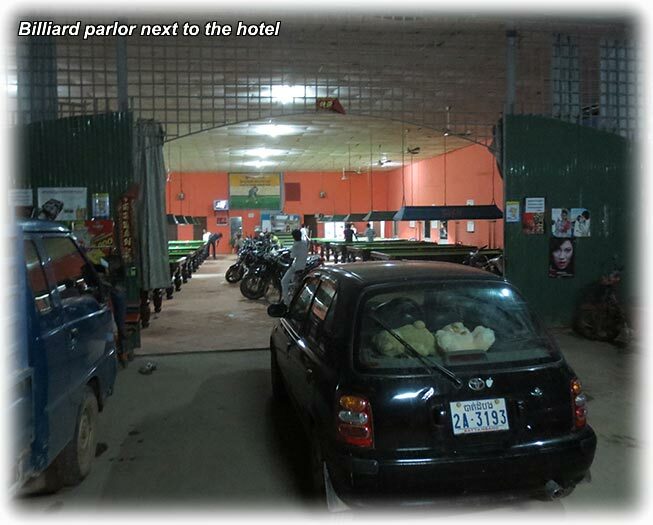 Yes, you told me you are in Cambodia. I think it is dangerous country. Just take care yourself. If you aren't coming on Sunday night, it might something happen to you. Be careful. Don't drink too much. having spent a good time here. 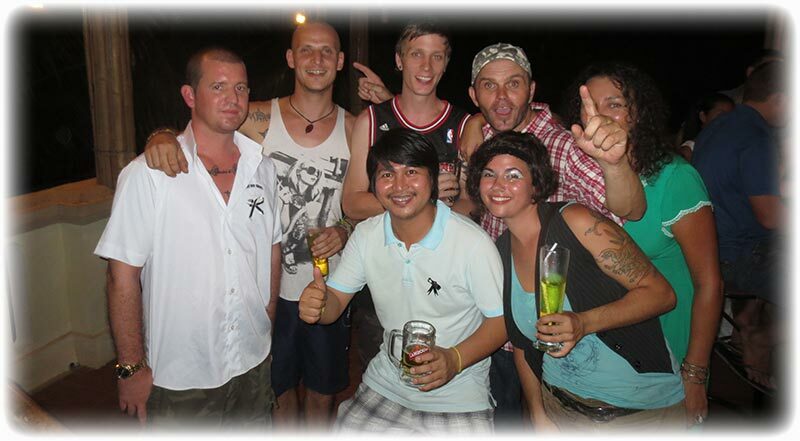 I got an e-mail from a girl in Bangkok and the Cambodians obviously needs all the promotion they can get. Well, anyway, I ended up in an alley with beautiful houses and there was an Italian restaurant. And was it.... I stick my head inside and I could hear music at a very low volume. I asked for a beer and the menu. And I gave the girl my TAXI CD. And the volume was very low so I thought that we could as well have had the entertainment system off. 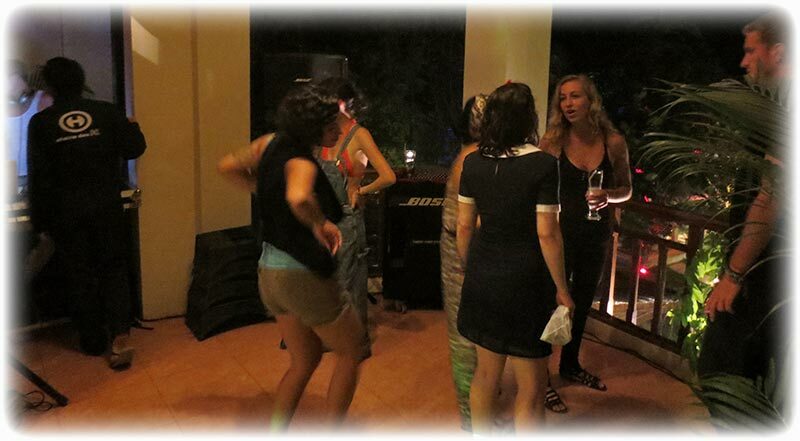 But suddenly we had Roffe Ruff blasting high on the Richter scale and the girl came dancing through the restaurant. Yes, one of the perks with good music. You never have to ask them to turn up the volume, they do it by them self . And what the foock is it with Cambodians and salmon? 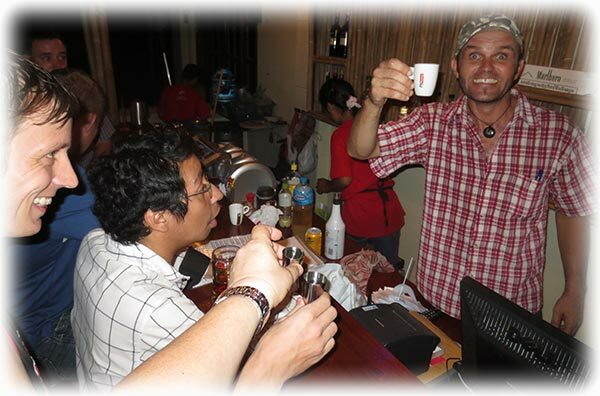 OK, here I go again promoting Cambodia. 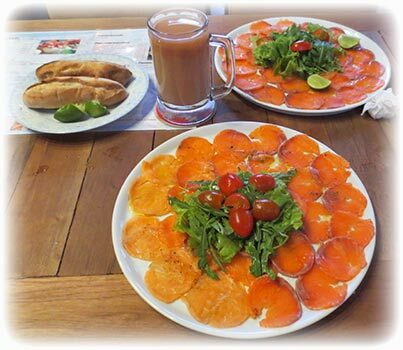 I remember eating smoked salmon in vodka sauce in Phnom Penh. The best salmon I ever had and I was back every day for their salmon. 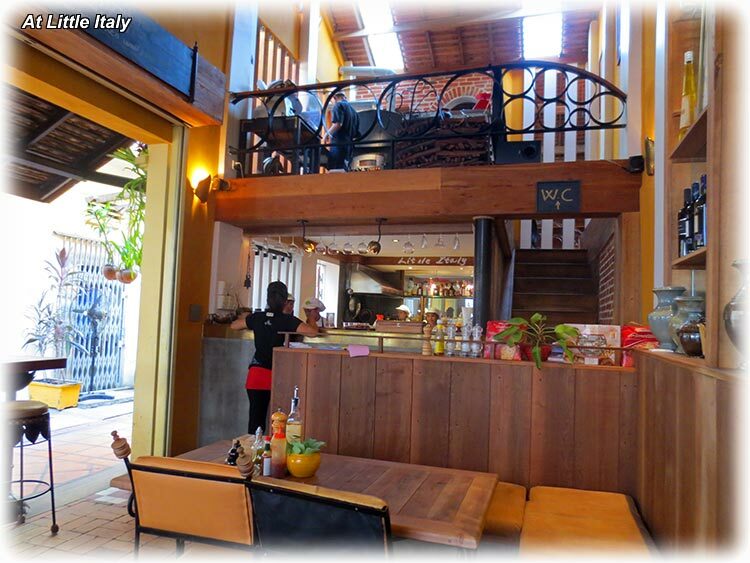 And here in Siem Reap, I ordered smoked salmon or as it said in the menu, Salmonete or something like that. I had an Italian ham and mozzarella brucheti with the salmon as a starter and spinach ravioli with meat sauce as main course. But the salmon, the best ever? It was like the Italian ham that melts on you trying to get it on the fork. Amazing, this salmon was so good so I visit to Little Italy in Siem Reap will be mandatory from now on when I'm in Siem Reap. 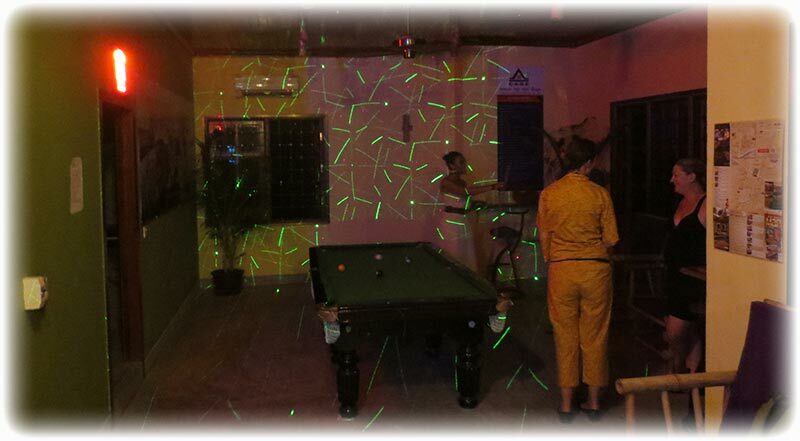 Yes, it should be against the law to miss this place when in Siem Reap. I had 2 big bottles of beer and I was full when I left Little Italy. It was daylight when I arrived and now it was dark. 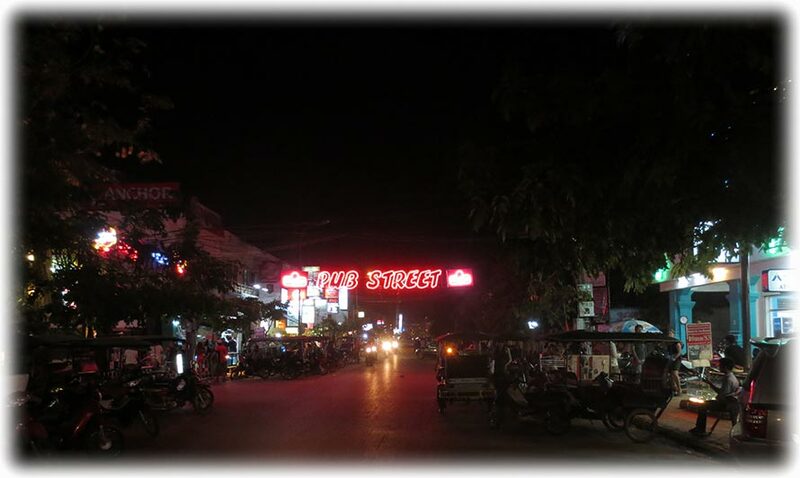 I walked around Siem Reap for an hour or two before I returned to my hotel. They were going to kick off the music at Jungle Junction on High School Road at 8 o'clock so I needed a shower and a beer (or two) before going there. 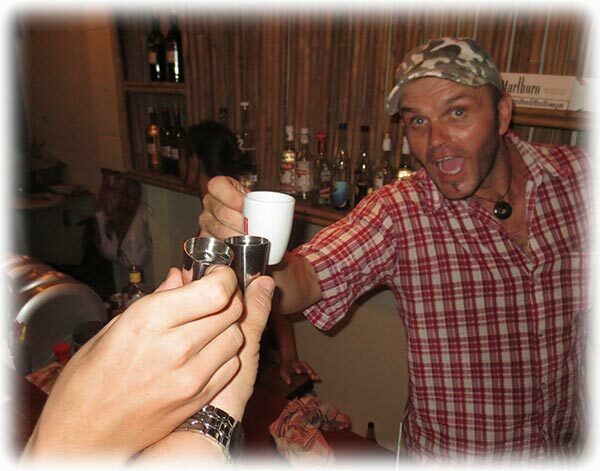 A few beers is required to turn Hangover Man in to Charisma Man. I stopped a motor cycle outside my hotel and he would take me to High School Road for 2$. He didn't knew Jungle Junction so we had to stop to ask for the way. We were soon at Jungle Junction and I could hear scream from the garden. Children? My new friend the DJ warned me yesterday. He told me not to be afraid when entering the place, it was a play ground for children in the garden. But I could hear the music and I went up on the second floor. I asked for a beer and there were 2 brands to choose from Angkor and Cambodia and as I had tried Angkor before I asked for a bottle of Angkor. And some ice in a wine glass. After 2 or 3 beers I realised that it would not work with beer. 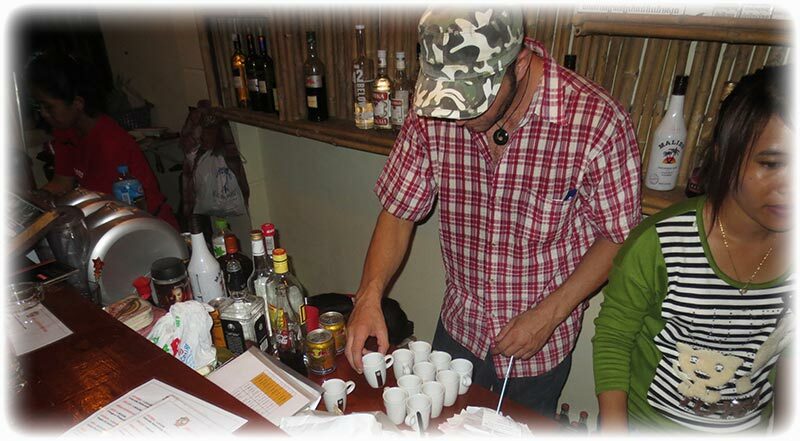 I was suffering from a hangover and I asked for 4 shoots of vodka and baileys. 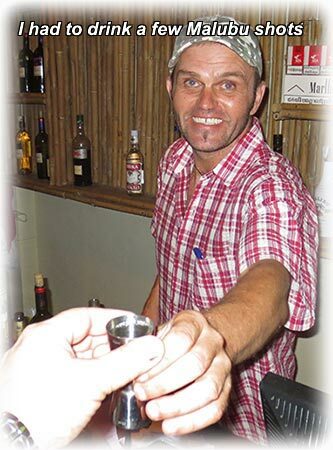 The baileys bottle was empty so I asked for Malubu or whatever the drink is called. I had my camera with me and when the owner discovered this he asked me to take pictures of the people at the place. I told him that it was kind of embarrassing to walk around taking pictures of people I didn't knew. MY FRIEND ALADDIN IS MY OFFICIAL PHOTOGRAPHER SO HE WILL TAKE PICTURES!! And of course, the string to my camera got tangled up in my ear rings and I needed assistanse to get the camera cleared from my ear. 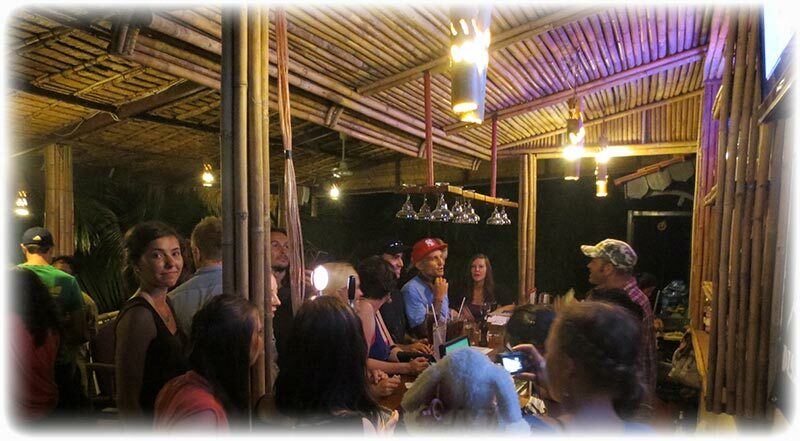 We had a good time at Jungle Junction and time turned very quick and it was only 2 of us left when I left the place around 2 or 3 o'clock in the morning. I found a TUK TUK driver outside Jungle Junction and as I don't like to get up in the passenger trailer I asked the driver to disconnect the passenger trailer. The trailer connection was in the middle of the seat on the motorcycle so it wasn't very comfortable. So we gave up after a few hundred meters and we returned to Jungle Junction. 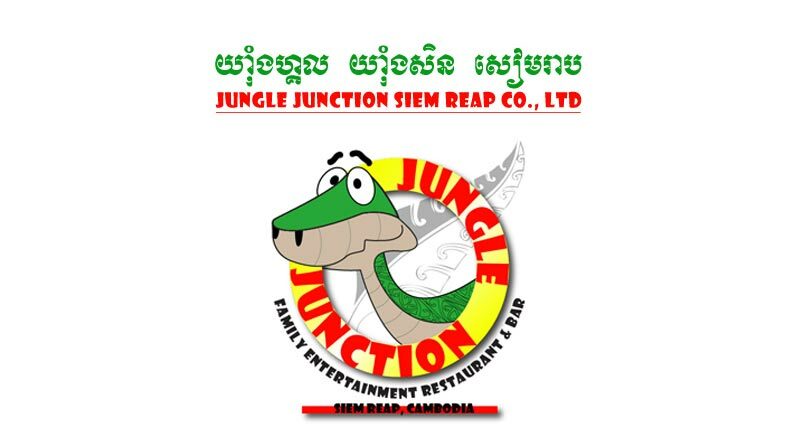 We connected the passenger trailer and we left Jungle Junction towards “DOWN TOWN” Siem Reap to look for something exciting. We looked for some place that was open. 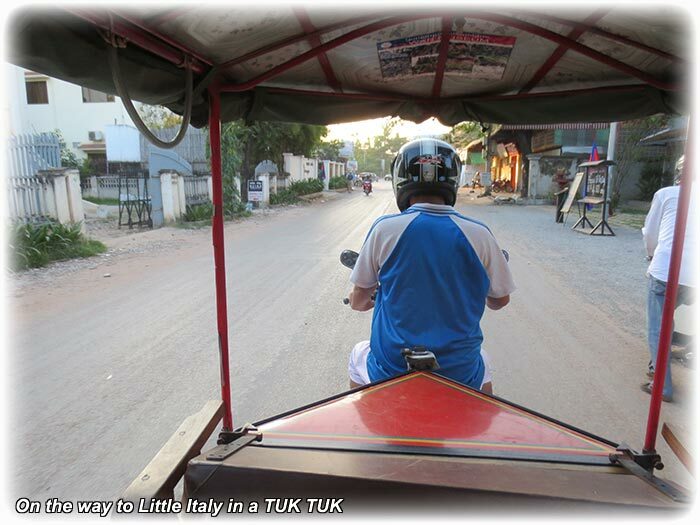 But the only thing we found was a restaurant and I had a salmon pizza before we returned to my hotel with the TUK TUK. The pizza was of course a set-back for my diet, but I had not been eating for 12 hours so I was hungry. Sunday 21st of October 2012 and I woke up at 1 o'clock. 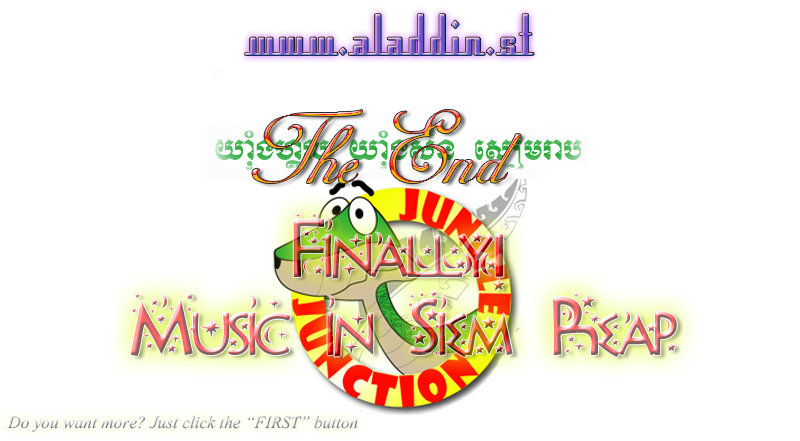 There was an e-mail from the owner of the Jungle Junction. I tried to e-mail him the pictures, but of course, the files was way too much. So I got dressed and I walked across the bridge to go to buy a blank CD so I could burn the pictures. I passed a restaurant and I ordered bacon and egg, a pot of tea and a baguette and while they were preparing my breakfast I went to look for the CD. It took me quite some time to find a place selling blank CDs and my breakfast was almost reay when I came back to the restaurant. 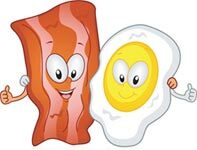 I finished my tea, bagguete and bacon. I left the eggs and hash brown behind, didn't taste very well. I walked back to my hotel and I burned the pictures to a CD. My flight leaves at 20:30 and I will check-out from my hotel at 6 o'clock and I have booked a taxi to the airport. It was 3 o'clock when I finished the picture CD and I had a few hours to kill and as I wanted to make sure I didn't broke any laws I decided to go to Little Italy for some of their excellent salmon. 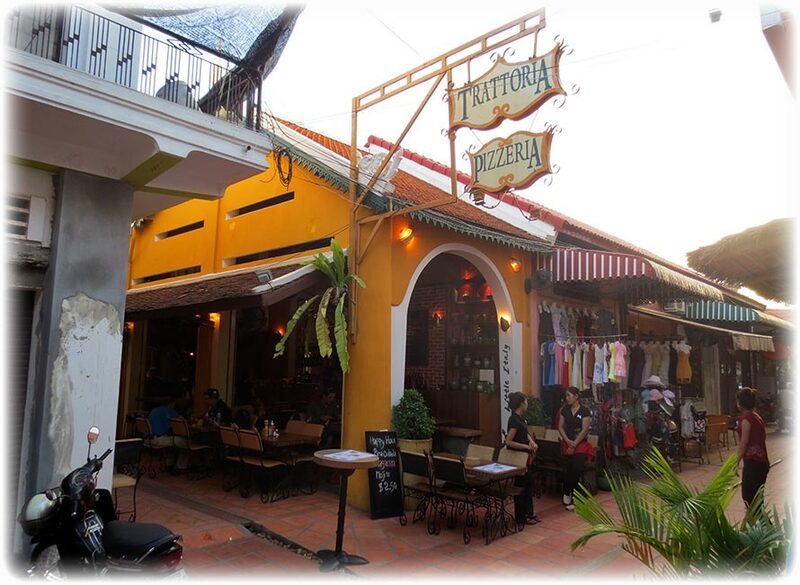 If it isn't illegal to skip a visit to Little Italy in Siem Reap for their salmon it should be. 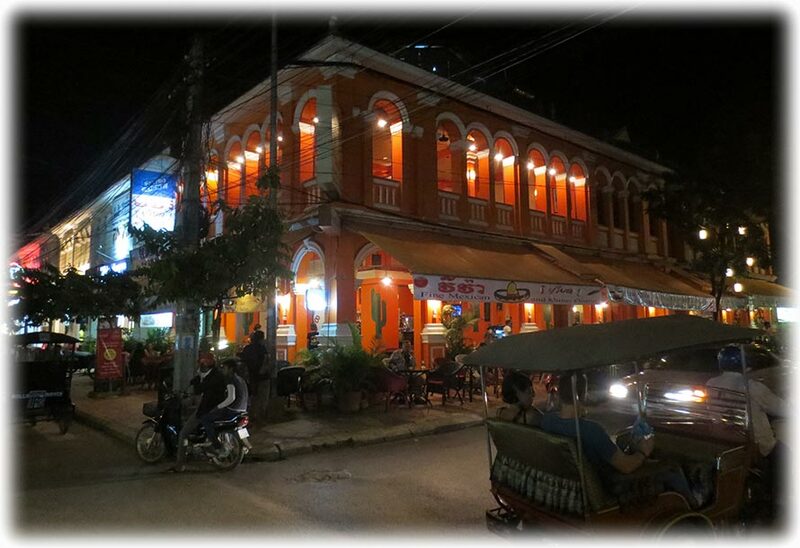 For sure, I wil go for some salmon at Little Italy every time I'm in Siem Reap. 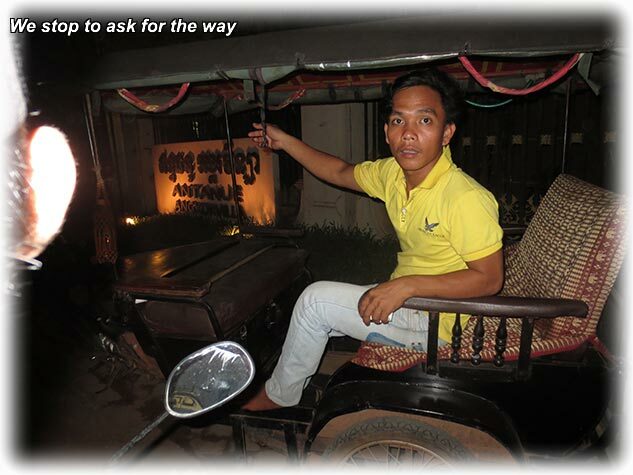 I took a TUK TUK from outside my hotel and we took off towards the market place or whatever the area is called. 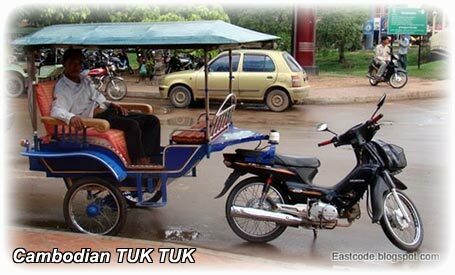 The TUK TUK driver asked for 1$ and I gave him 2. I took the 3 minutes’ walk to Little Italy and there were people at 3 tables. Disappointing, I had been hoping to be alone. The girls recognised me and I got a table. I asked for the salmon, a pot of tea and the menu. 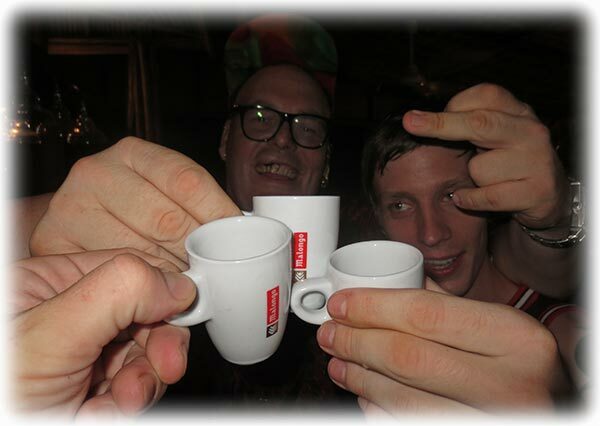 The girl told me that they didn't had any pots, only cups. So I asked for their biggest cup. I got my menu just to check out what they called the salmon, Salmone Carpaccio. 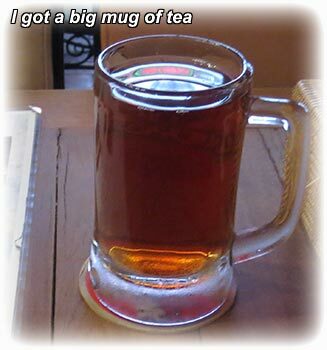 The girl brought me a big beer mug with tea and I was pleasantly surprises. This is the power of initiative that I'm looking for. 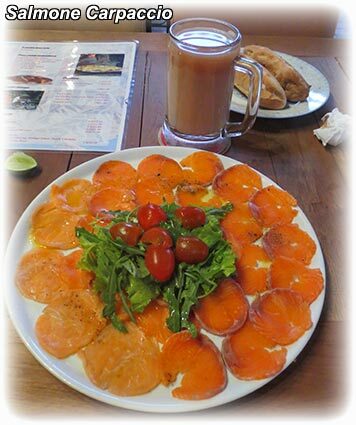 I enjoyed my tea when they brought the Salmone Carpaccio. 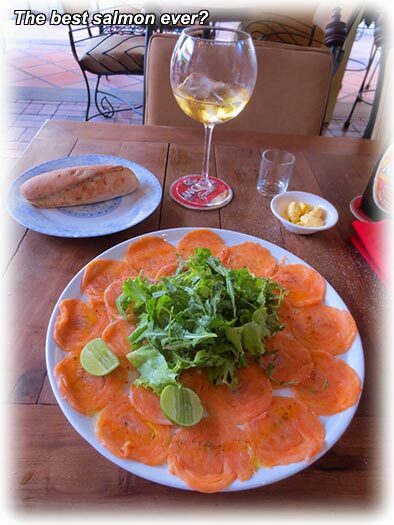 I didn't even have time to start with my Salmone Carpaccio before they brought a second plate of Salmone Carpaccio. Yes, I want to make really sure I don't break any laws so I asked for 2 plates of the Salmone Carpaccio. And only God knows when I have the next chance for a plate of Salmone Carpaccio. I finished my salmon and I asked for the bill. The girl asked me if I wasn't going to sit down listen to music drinking beer today. The clock was 20 minutes before 6 when I left Little Italy and I decided to walk back to the hotel. 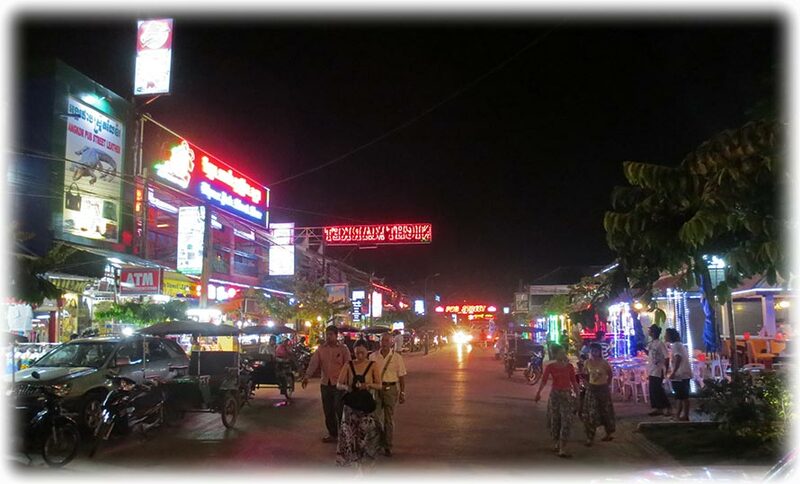 Takes about 5 minutes to walk back to the hotel on the other side of the Siem Reap River. I packed my bag and I had a shower before I left the room. I paid my bill and the taxi driver was waiting for me. The girl in the reception followed me to the taxi and I said “Good Bye, see you again” and we took off with screamin' and smokin' tyres towards the airport. Well, there was for sure no smokin' and screamin' tyres, speed limit 20 km/h. But I was in no hurry. Cambodia dangerous! Are you joking? 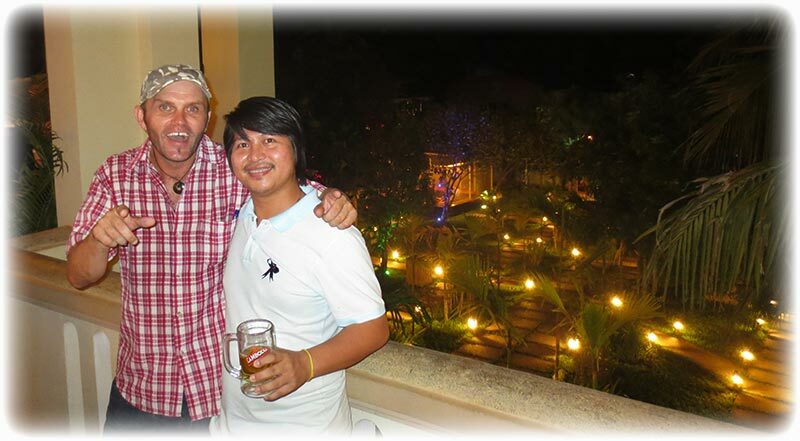 Cambodia is a very nice country, at least the places I have been at and the people are very friendly. 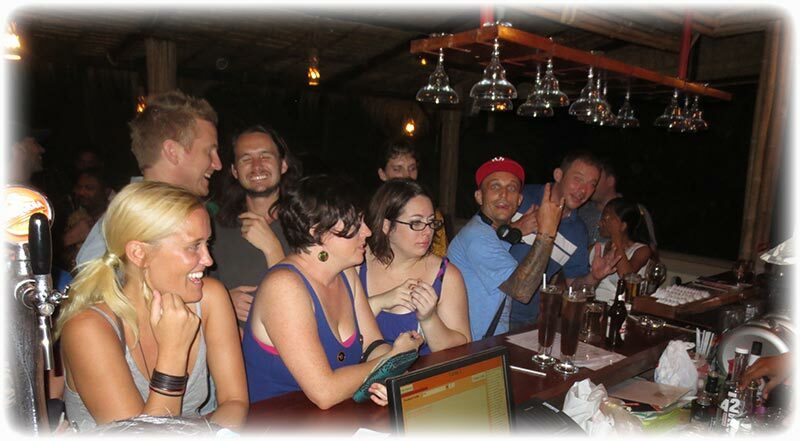 And most of the people are speaking English so Cambodia is really worth a visit. I enjoyed the taxi ride to the airport. 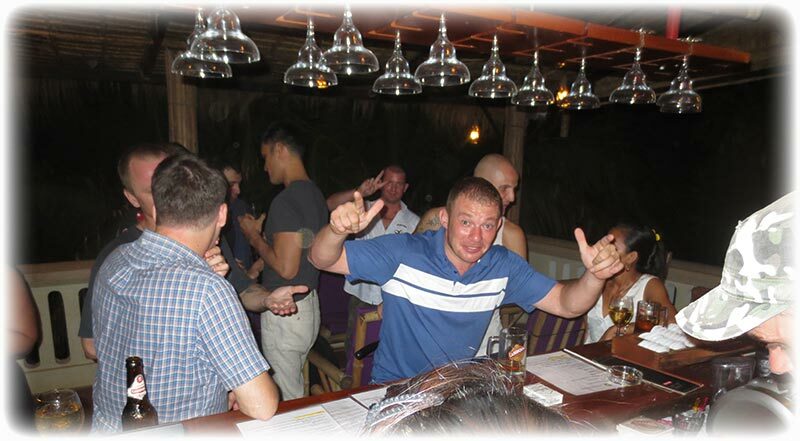 The hangover was not as bad as I had expected after 2 days of party. But I was glad that I was going to fly back and not taking the 250 Baht bus. And that's even though I don't like to fly. But I might take the bus next time and then I will save 15,250 Baht. I was at the airport 2 hours before departure time and I was surprised to see so much people in the check-in line. And it took like forever for people to check-in. I was in the queue jumping up and down wondering what the foock they were doing. 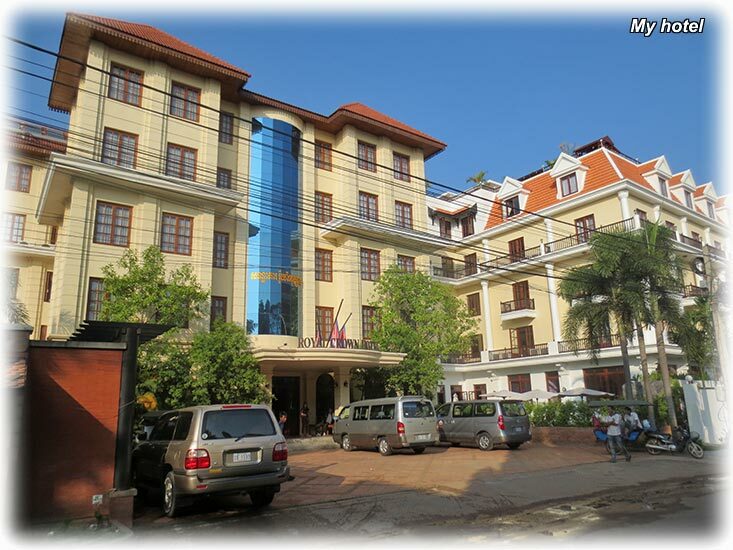 How long time can it take to check-in? So when I was finally called to the check-in counter I expected it to take a long time for me to check-in. I gave the girl my passport. - Aisle seat please. At the last row if it is possible. Took me less than 2 minutes to check in and the girl blocked the seats in my row. So I don't understand why it takes 20 minutes for the passengers in front of me. They brought out big phones and tonnes of papers before they could check-in. I whizzed past security and immigration and I stepped in to the tax free shop right after the immigration. You had to walk through the tax free to get to the gates. 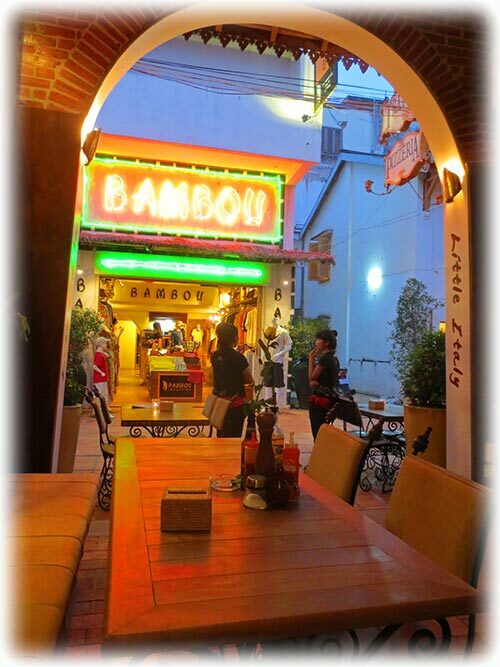 There were a few restaurants and shops. 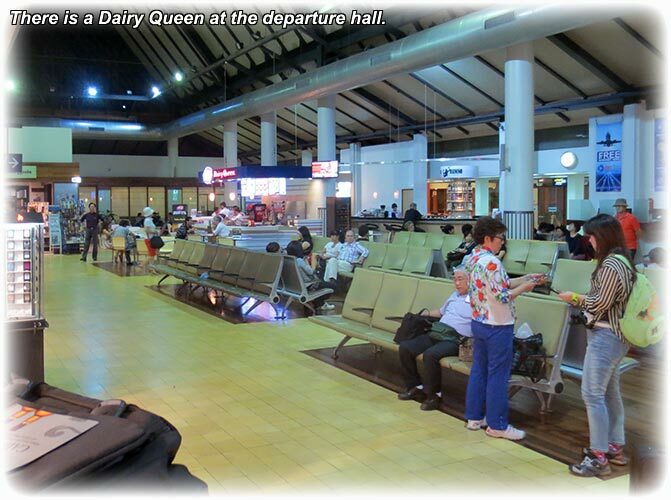 And I spotted a Dairy Queen in the middle of the terminal. Next to the Dairy Queen was a bar and they had the music blasting high, something I had never experienced before. And if I would have been in a different mood I would for sure have handed in my TAXI CD with a beer order. According to the boarding pass we would board the flight at 19:50 but it was 8 before they opened the gate and we walked across the tarmac to the plane. - Sir, you will be more comfortable if you use this. And as I like to pretend that I'm a good looking guy with a V-shaped torso I tried to look surprised like I never seen an extension belt before. 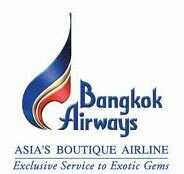 I can't say that I was looking forward to flying with Bangkok Airways when I bought the ticket. 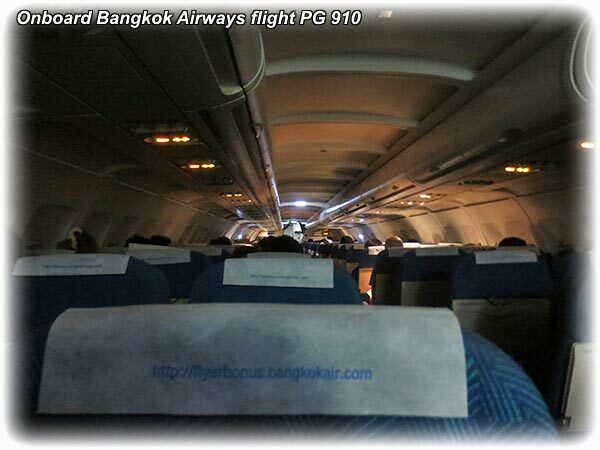 I have heard and read so much bad things about Bangkok Airways. Plane landing in restaurants and some 20 years ago I heard many stories about airplanes that newer showed up. Back then they only had a few flights and Pattaya was one of the destinations and I had a friend waiting for his flight. Never showed up and they had obviously landed at the wrong airport. So no, I wasn't looking forward to this. 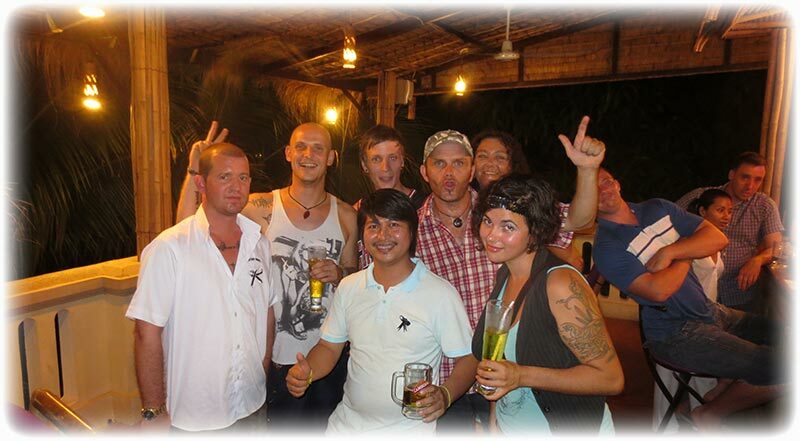 But time have obviously changed and the crew was very nice, both to Siem Reap and back from Siem Reap. And I'm looking forward to flying with them again. 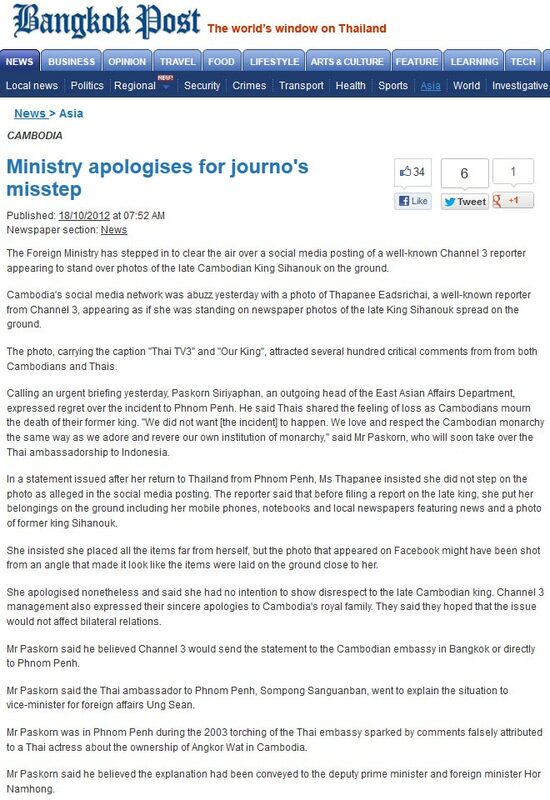 But maybe, they could skip serving the food onboard the Bangkok to Siem Reap flight. The crew have to run up and down the aisle with the trolley in order to be able to serve all before arrival. I said no thanks when they offered me food and I flipped through the in-flight magazine instead. Not much time for flipping through, we arrived to Suvarnabhumi 5 minutes past 9. 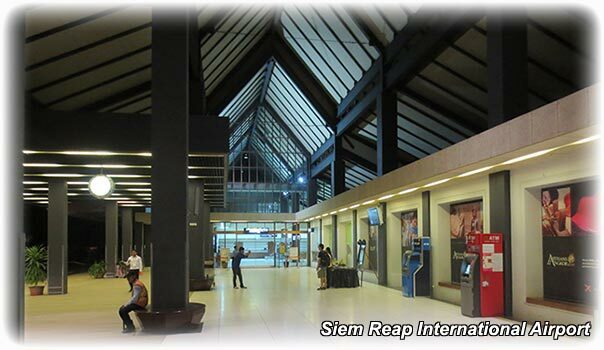 Only 35 minutes from Siem Reap and I will soon be back home. Well, back in Bangkok again and it will be nice to be back at Sophia Muay Thai Gym.